With the release of Spider-man: Homecoming the time has come to rank all current Marvel Universe films from this reviewer’s subjective ‘worst’ to ‘best.’ If you want a look back at picks 21-11 then proceed to here! Also, please remember, if you have a list, essay, opinion piece or anything creative you would like to share to an audience – please submit it on either our Facebook page or on the Contact Us page. There are submission guidelines available on these pages. Doctor Strange is one of the trippiest, oddest characters in the Marvel Universe altogether. He is the Sorcerer Supreme, a man of intellect and magic. The casting of Benedict Cumberbatch does seem, therefore, somewhat odd initially – until you start to watch the film and recognise that the star-studded cast work brilliantly with the exploration and expansion of the multiverse. The ‘magic’ of Doctor Strange is exposited as a form of astral-science, the ability to tap into the energy of other words and universes and use this for the benefit of the ‘sorcerer.’ Some might frown at the inclusion of magic in the Marvel Universe, however with some brilliant and unique special effects that are Inception-esque, and a deep thematic heart, Doctor Strange is a beautifully constructed film and one of the best origin films in the Marvel Cinematic Universe. Luke Cage is both an origin story, and a timely television show in an era of the Black Lives Matter movement. The casting is poignant and well-executed, with Mike Colter serving as the bullet-proof Luke in the midst of political movements and schemes that serve to try to bring down the world around him. Luke is a passive and reluctant hero, a guy only drawn into war and conflict by those who seek to create it. The one let down with Luke Cage is its methodical pacing and the treatment of the show’s best villain – Cornell Cottonmouth as played by the charismatic Mahershala Ali. Yet, for a smaller-focused superhero hit, Luke Cage is the hero for hire to focus on. The Winter Soldier is the film many viewers consider the best in the Marvel Cinematic Universe. It has all the twists of a pulsating spy action-thriller, and a well-executed rendition of one of the best comic book story arcs. However, for all the fanfare the film does suffer from minor plotting and pacing issues that in this reviewer’s eyes prevent it from being the best Marvel film. It is a more-serious film, yet serious does not equal better here as it lacks the balanced tone between serious themes and humour that its predecessors possess. Which, for this reviewer, is why it falls behind other films on this list. After so many years, Iron Man is still one of the best films in the franchise and the second-best origin story. A film responsible for kick-starting the Marvel Universe in film and television. Robert Downey Jr. inhabits the role of Tony Stark like no one else could, selling his charisma with charming persuasion. It is a film which, although it now lacks the visual ‘wow’ factor, and impact of later films, still has one of the most complete stand-alone character arcs. The villain is impressive, if somewhat underused – essentially serving as a representative of the dangers of ruthless capitalism. For all its fun and games, this is a film with plenty of heart and a worthy entry point to an entire universe. Daredevil with its two seasons is the first of Marvel’s forays onto the Netflix streaming screen. Despite being a visually violent show in places, Daredevil’s brilliance lies in its exploration of deep moral themes and its villains. Season One focuses on Wilson Fisk – Kingpin and his control of the New York mafia gangs – and Season Two introduces The Punisher and The Hand. While Season One is far superior – one of the finest pieces of television available, despite some gore-filled moments with Kingpin and a car door – Season Two is acceptable in its own right, if a touch slower-paced and less momentous and memorable with its action sequences and overall plotting. Regardless, Daredevil is the television show of choice for this reviewer, and builds a strong desire and anticipation for August’s The Defenders. Guardians of the Galaxy Vol. 2 is a terrific film, one of the best released in 2017. The film’s first third struggles with its pacing compared to other entries in the Marvel Comic Universe, and although the second two thirds are brilliant – the overall film often sacrifices quality moments and thematic expression for comedy. The villain is a clever play upon the ‘daddy issues’ of the protagonist, with his plans mimicking his very identity as Ego. Indeed, what Guardians of the Galaxy Vol. 2 does well, it does very well – turning one of the odder villains in the comic books into a clever adaptation, while also providing a new and modern take on Star Lord’s parentage that is well-developed. Groot steals the show…again. But Rocket steals everything. 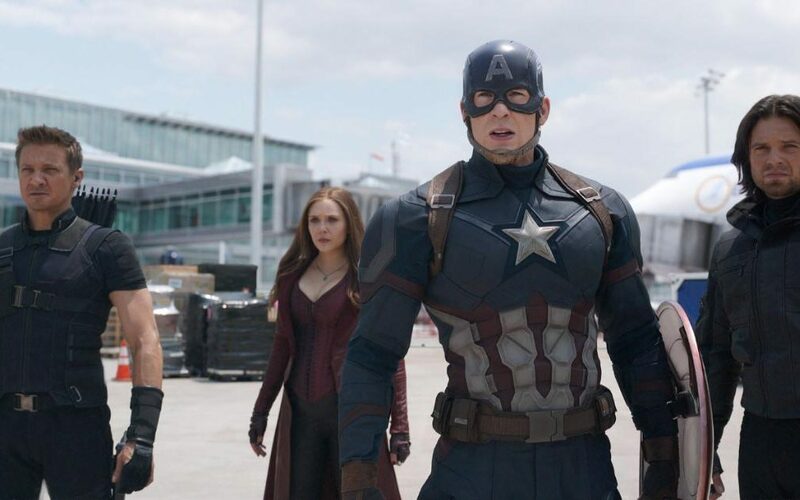 The Avengers – the moment comic book lovers had been waiting years for. And still one of the best films in the entire Marvel Universe. A movie born from the combination of years of previous films and the uniting of characters so different that this film should not have worked. 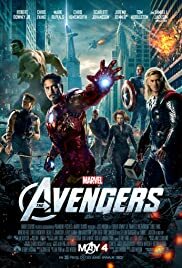 Yet with a clever, straightforward script from Joss Whedon and direction that allows each character to shine, The Avengers became the standard all other films in the franchise needed to look up to. Fortunately other films did hold to this standard and began introducing the multiverse, magic and a few extra infinity stones. And some films even outshone this particular film. The best origin story in the Marvel Cinematic Universe. As many reviewers note, Marvel took a film about a space racoon, a talking tree, alien assassins and a space traveller from Earth. And they turned this into a smash hit. Chris Pratt displays his perfect comedy timing in the key role of Star Lord. Meanwhile Vin Diesel and Bradley Cooper deliver their voices excellently for Groot and Rocket. However, the stars of the show are Dave Bautista in the role of Drax and Zoe Saldana in the role of Gamora. Drax in particular, with his lack of understanding of metaphorical words, is a brilliant comedy gem of a character. Guardians of the Galaxy? Or just another bunch of idiots? 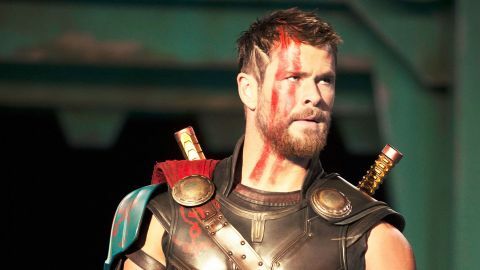 Thor:Ragnarok is not the best Marvel film, but it is the most fun of all the Marvel films. The blend of character-driven, humourous plotting and special-effects action is incredible. While the emotional impact of the Universe-significant battles is likewise potent. It is a film which balances all of its elements so very well. And it paces itself so neatly that every minute of viewing time is a joy. For this reason Thor:Ragnarok steals its way into fourth place on this list. Sitting here, now at number 3 is Captain America: Civil War. This is a film that is essentially Avengers 2.5 and is more of a spiritual successor to The Avengers than any other film since. It is a film which introduces both Spiderman and Black Panther to the world of the Avengers. Yet this is an incredibly fine tuned and balanced film. It finds screen time for a variety of different characters from Hawkeye through to Black Widow. Yet this Marvel Universe film also maintains a focus on the conflict between Captain America and Iron Man. Robert Downey Jr. and Chris Evans are at their best in this film. It is a Marvel Universe film which is both an incredible action film, and a political, thematic thriller. The villain here works through scheming and manipulating rather than brute force. Therefore Civil War is the best of the Marvel Cinematic Universe because of one reason. It effectively combines all that has come before it into one film, while also staying true to the core roots of the comic book franchises that birthed it. Civil War also leaves room for future films to stand upon its shoulders. Read my review for a full explanation of why Black Panther is the best origin film in the MCU. Some would argue this is a better film than Infinity War and in so many ways it is with its compact, powerful story. But Infinity War delivers on the biggest film promise of all in ways I never thought possible. It was a dream, a massive dream to bring Thanos and the infinity stones to the screen. The culmination of ten years of filming and one of the biggest and most successful film universes of all time. And yet it was a masterpiece in how to construct a memorable villain, in how to blend together so many different stories. And how to leave the audience emotionally torn and wanting more by the end. Read my review for a full list of reasons as to why Infinity War is the best MCU film.